Apollo 13 in Concert - Film Concerts Live! Film Concerts Live! 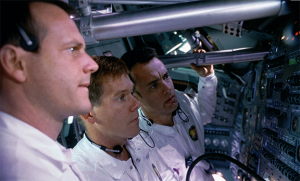 Hailed by critics and audiences alike, Universal Pictures’ Apollo 13 tells the incredible story of one of the most thrilling and suspenseful missions in the history of the American space program. Directed by Ron Howard and nominated for nine Academy Awards®, the film stars Tom Hanks, Kevin Bacon, and Bill Paxton as astronauts Jim Lovell, Jack Swigert and Fred Haise, who were selected to fly NASA’s third moon landing mission. While en route, an explosion causes a critical systems failure, forcing Mission Control to abort the lunar landing. 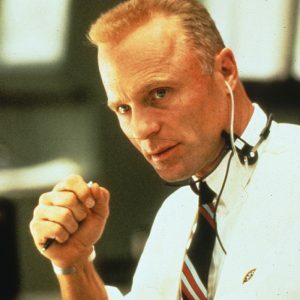 As the astronauts struggle to come to grips with their perilous situation, and with oxygen and electrical supplies dwindling aboard the ailing spacecraft, Flight Director Gene Kranz (Ed Harris) and his team mount a desperate attempt to bring the three men home safely. In honor of the 60th anniversary of the founding of NASA in 1958, Film Concerts Live! is proud to present Apollo 13 in Concert. Audiences will be able to experience renowned composer James Horner’s entire Oscar®-nominated score performed live to picture by a full symphony orchestra, in what will be an emotional and truly unforgettable cinematic concert event!